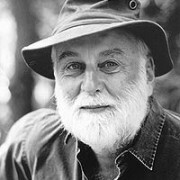 Roy Klebe produces hiking staffs and hiking staff medallions in Europe and Asia and imports them to the U.S. under his brand name – Hike America. In 1988, Roy discovered a long standing tradition in Europe of collecting medallions on hiking staffs. After his hiking trip in the Swiss Alps he was inspired to introduce this unique tradition to the U.S. The use and ownership of a staff is almost as old as man. Over the centuries they have been used for walking, hunting and fighting. Archaeologists have discovered intricately carved staffs buried with their owners in ancient tombs. Staffs became extremely fashionable this century and were collected and used by many famous people. 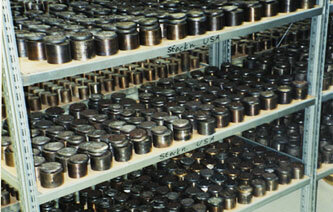 Winston Churchill was a great collector, as were many of the crowned heads of Europe. Merchants used to smuggle spice, silkworms and other valuables in hollowed out staffs. Thumbsticks have also been in use for centuries and many old prints and etchings show them as both telescope and musket rests. Shepherd crooks are predominantly used for herding and controlling sheep along with cattle and chickens. Truly a labor of love, the method for producing hiking staffs is an art that goes back centuries. Generally, Hike America uses chestnut saplings because they are very light in weight and extremely durable. All the woods are plantation grown specifically to be made into hiking staffs, which makes our product environmentally sound. The wood is harvested in the Fall when the crop is dormant. After harvesting, it is aged in a carefully controlled environment. 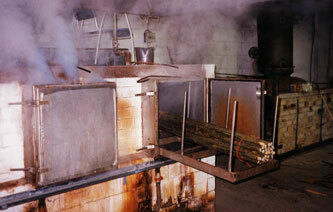 The wood is placed in large steamers which loosen the bark for the peeling process. 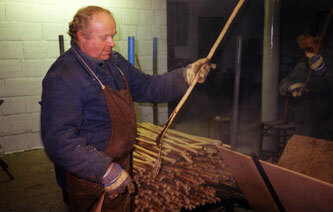 After washing and curing, the sticks are once again steamed for pliability to be straightened by hand. The finishing process includes sanding and staining to compliment the natural beauty of the wood. 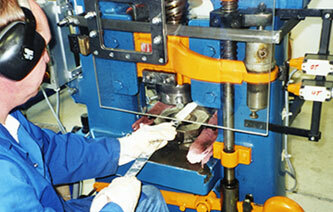 This is followed by cutting to length and the fitting of various tips. On smooth ground, a hiking staff helps maintain an easy rhythm. On rougher terrain, it’s a balancing aid, and offers an extra push, up and over rocks and steeper trails. It is helpful for testing uncertain footing ahead. It can be used to push aside poison oak or poison ivy and even snakes. The hiking staff acts like an extra leg and relieves pressure off the lower back and knees. If injured, the staff may be helpful in getting you back down the trail. The hiking staff is well suited for self-protection. The collecting of medallions is a long-standing European tradition that began in the Alps region of Europe in the 1800’s. Now almost everyone who hikes has their own personal staff. As they hike different regions, conquer new peaks, and explore the unexplored, they collect medallions from these areas which are then attached to their staff as a momento of the hike. Hike America now brings this tradition to America. We create and import over 500 different handcrafted medallions. 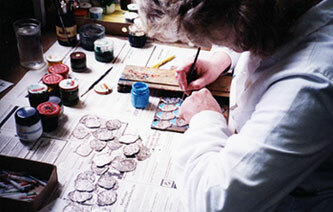 The unique scene on each medallion is crafted by a master engraver according to our design specification. After stamping and cutting, each medallion is handpainted, then a rolling process finishes the medallion by curving each one to fit on a hiking staff. Now people from across America are participating in this time-honored European tradition by personalizing their own hiking staffs. The collecting of our medallions enables one to proudly display their travels and hiking accomplishments for all to see. At the same time, a family heirloom is being created. Hike America medallions depict many scenes from American parks such as Yellowstone, Zion and Grand Canyon National Parks. For example, for Yosemite National Park we have eight different scenes available including Half Dome, Yosemite Falls, Vernal Falls, Nevada Falls, Tuolumne Meadows and the John Muir Trail. Our hiking staffs and medallions are made to be used and enjoyed and to build memories that can be passed down from generation to generation. We guarantee all of our products unconditionally.